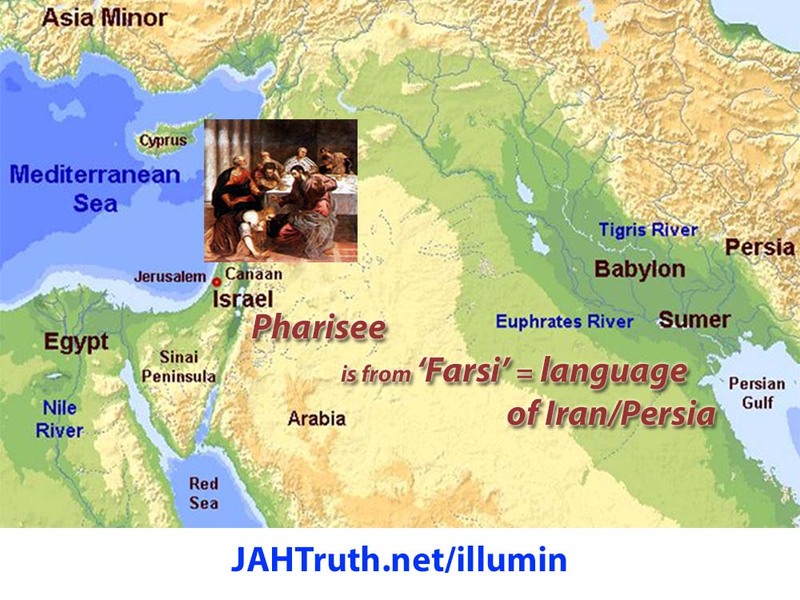 The Pharisees of The Bible came from ancient Persia/modern day Iran, where Babylon was, where they spoke Farsi (still do), hence the Pharisees getting that name from their language JAHTruth.net/illumin. Matthew 23:13 But woe unto you, lawyers and (Pharisees – Farsis – Persian converts to Judaism, who were the) politicians, hypocrites! for ye shut up the Kingdom of heaven against men: for ye neither go in [yourselves], neither allow ye them that are entering to go in (see Enoch 93:4-104:6). And they are the Persians who converted to being Jew(da)ish and came back to Jerusalem with the true blood Jews. Ester 8:17 And in every province, and in every city, wheresoever the king’s commandment and his decree came, the Jews had joy and gladness, a feast and a good day. And many of the people of the land became Jews; for the fear of the Jews fell upon them. In this article the Iranian President Wishes All Jews a Happy New Year, (which refers to his tweet of 13 September 2015 #RoshHashanah pic.twitter.com/UheJPrjuVx) and says “May our shared Abrahamic roots deepen respect & bring peace & mutual understanding. L’Shanah Tovah.”, which is an admission on his part that he knows of the ancient blood connection between Iranians and today’s Pharisees/counterfeit Jews, but it’s interesting that he also believes, or scams, the lie that his roots are also Abrahamic, when neither of their’s are, at all.